One of the things that I feel is super important to proper blogging is high quality photography. When I first started this blog, I was the proud owner of a Canon SD850 and frankly I thought it took great pictures. On my quest for improving both the quality of my photos and my skills behind the camera, I asked my husband if I could try his Canon G12. It’s another Canon point and shoot camera, but it’s from the “G” line that is known for its quality. Well, it was so impressive how much better the pictures were that I’ve used nothing else since. That is, until the other day. I felt improved cameras and loads of practice was no reason to rest on my laurels. With that in mind, I once again sought out cameras my husband owns. This time I wanted to try his “big and fancy” DSLR. I grabbed his Canon 40D and a lens or two and started taking pictures with both his camera and the Canon G12 I’ve come to love. I set up a random bowl of pine cones and snapped them with both cameras. The conclusion? Well let’s just say that the G12 was “night” to the 40D’s “day”. There was almost no way to reasonably compare the quality difference between the two cameras. I was so impressed that I had ordered my very own Canon EOS 70D within two hours of that experiment. I should note that I had no intentions of upgrading my camera, but after a simple side by side, I really couldn’t imagine not upgrading. Shall we talk food now? This meat sauce recipe is actually part of a lasagna that I’ve made for everyone I know (hopefully I’ll blog about that lasagna one day because it’s freaking amazing). I love the sauce so much that I want it to stand alone, which is what I’ve got here. Truth be told, the first time I made this meat sauce without the lasagna was simply because I didn’t feel like dealing with all the tedious steps of a lasagna making. Little did I know that this would become my go to home made sauce. 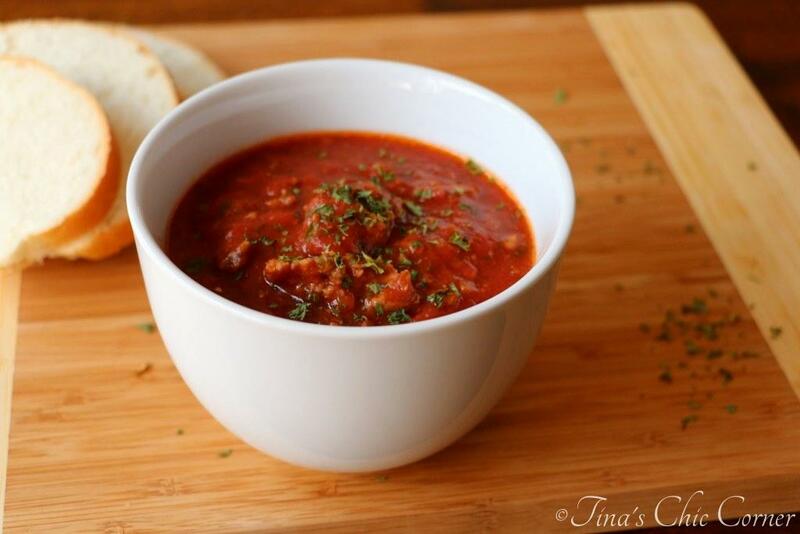 This classic Italian meat sauce has a lovely tomato base and is loaded with a piles of meat. 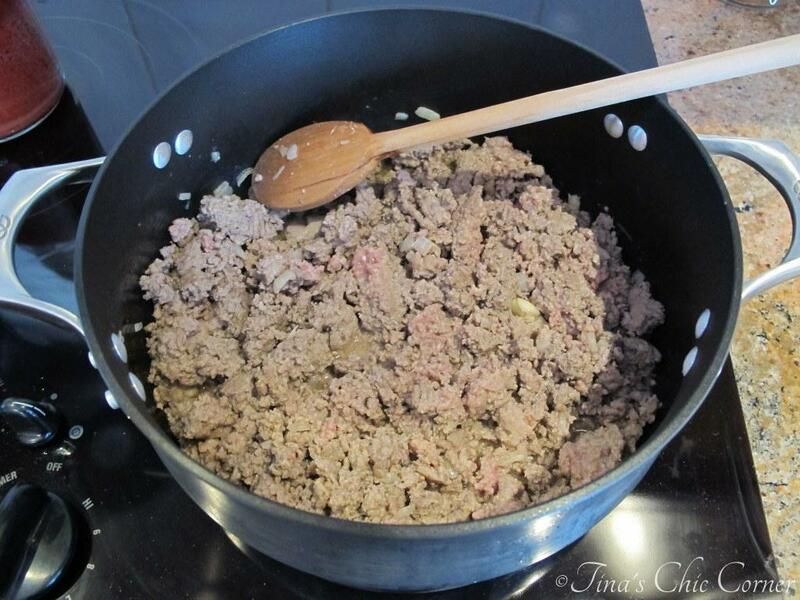 In a large pot, over Medium heat, cook the sweet Italian turkey sausage, ground beef, diced onion, and crushed garlic cloves until well browned. Don’t forget to remove the casings from the turkey sausage before cooking. Season with the sugar, basil leaves, fennel seeds, Italian seasoning, salt, ground pepper, and parsley. Simmer, covered for 1 and 1/2 hours, stirring occasionally. Store in an air tight container in the refrigerator or the freezer. I like using turkey sausage because it tastes just like the real deal, but contains less fat. (This is not exactly an appealing picture because meat is, well, brownish grey, but I promise it gets better). Mmm, look at all those herbs. The combination of the various herbs are the quintessential Italian flavors. My kitchen already smells like an Italian bistro. My Marina Sauce is the base for this recipe, so if you want a vegetarian option then that’s a great alternative. 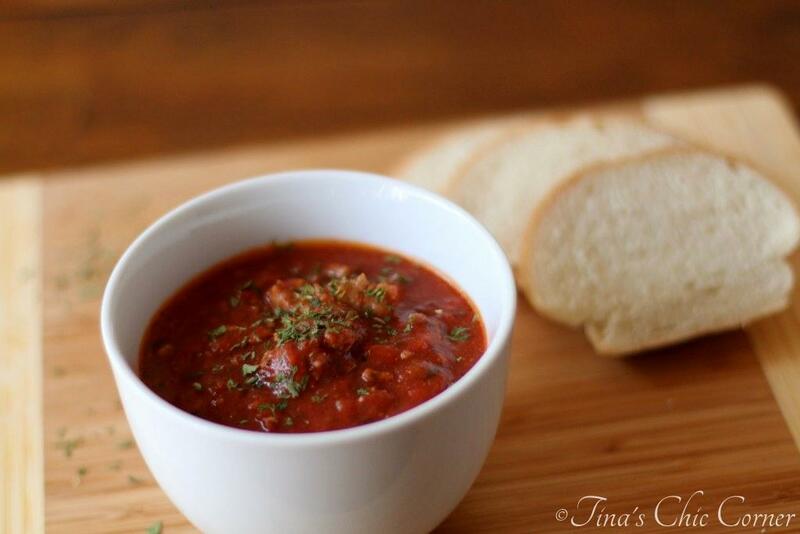 My husband and I prefer our sauce with meat in it because it adds so much great flavor that really comes directly from the meat and it can’t be faked. This makes a huge batch of meat sauce so I like to it freeze it in convenient pre-measured portions. 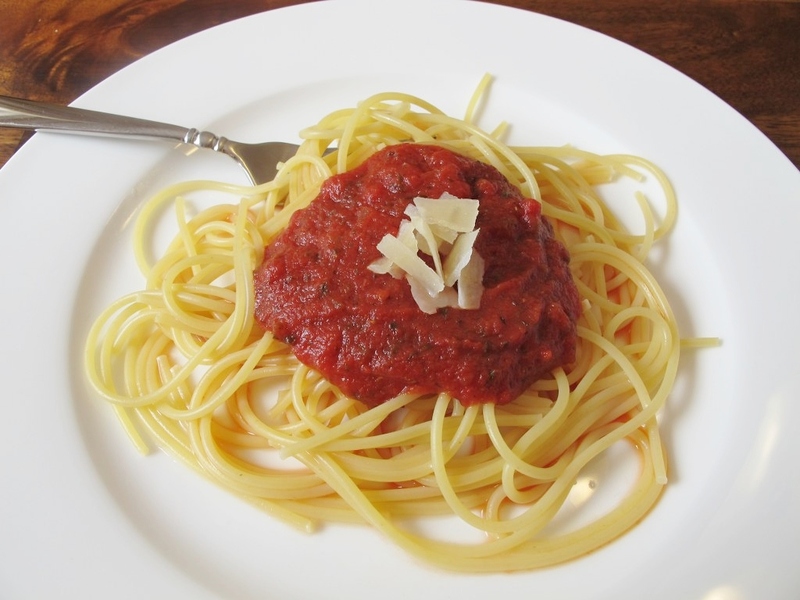 After a long day at work, I simply need to make some quick pasta, reheat this fabulous sauce, and then I have dinner ready in less than 20 minutes. It’s the perfect “make ahead” recipe. It’s so versatile and delicious that I love having it on hand. Have fun with your new camera! Your pictures look amazing today, yay! I can’t wait to see your new posts. Thanks! Let me know if you end up trying this. 🙂 I hope you’re having a lovely weekend. Your pictures look beautiful – great job! 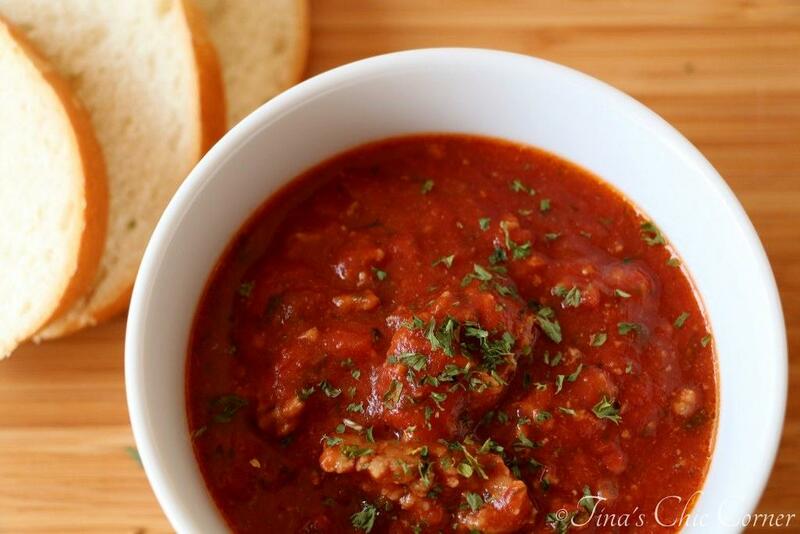 Loving this sauce, perfect addition to any pasta meal! 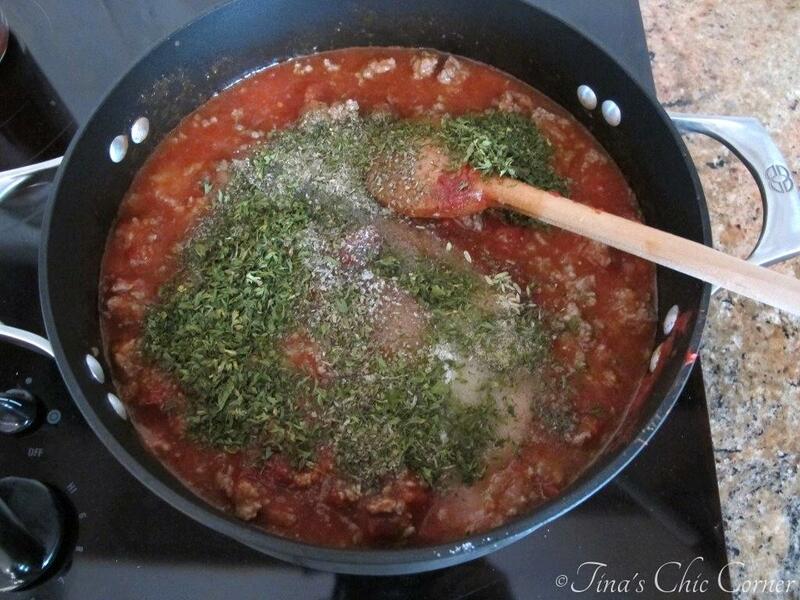 I love Italian food and who doesn’t adore a good meat sauce (with lots of meat)! My little one would pile this on some garlic toast and be very, very happy. Great pics, too! Love your pictures from the new camera – great job and have fun! 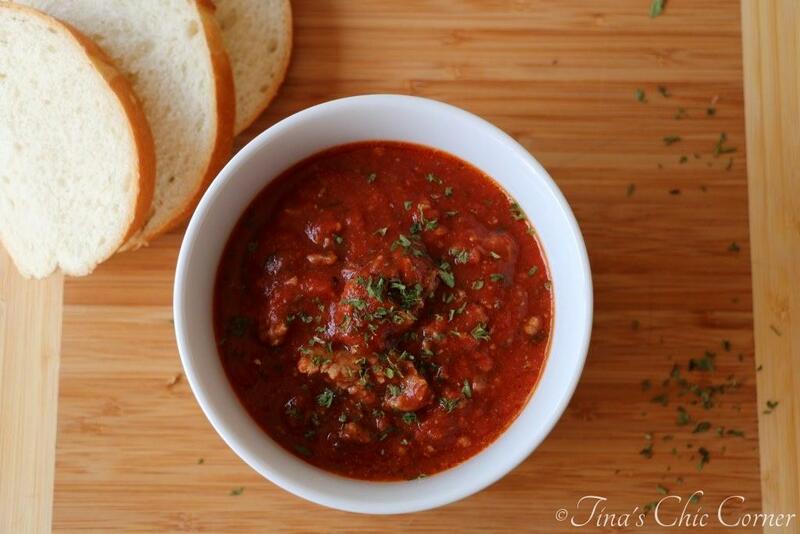 This sauce looks and sounds fabulous – perfect with any pasta. Would love to dunk a piece of bread into that bowl 🙂 Thanks for sharing and hope you have a great weekend! I need to make this sauce. 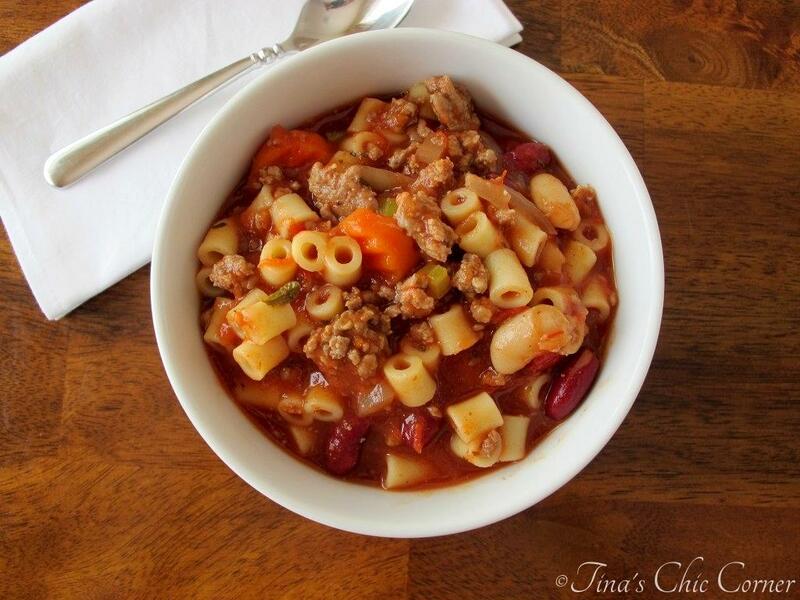 My boys love all things saucy and of course with pasta! Your photos are fabulous, Tina! They have so much more depth than your other ones and I especially like the second one from the top. That is so exciting! 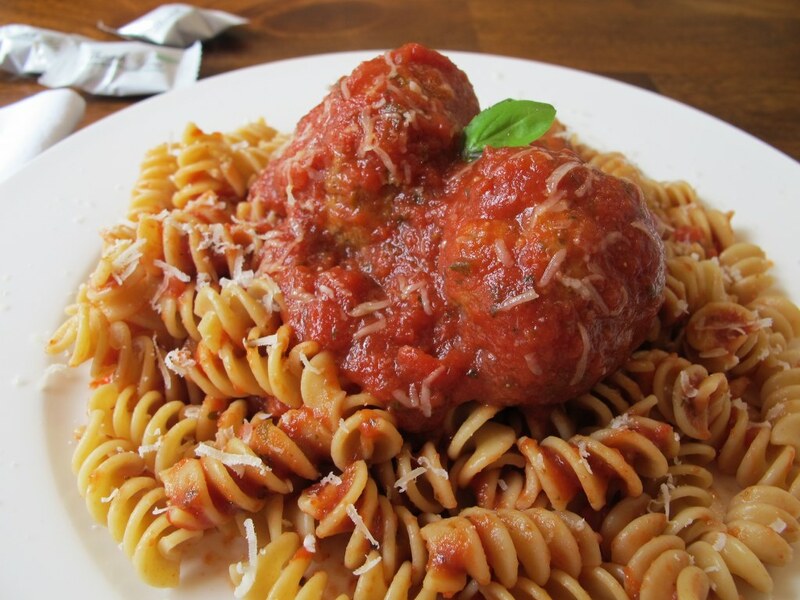 I am such a sucker for Italian food, too, especially pesto and pasta:) This looks delicious! Thanks Mary Frances, that means a lot to me. 🙂 That pic is my favorite too! I think I could eat Italian food every day. Hope you’re having a lovely weekend! Thanks so much Heather. 🙂 I love pork sausage too and definitely use that sometimes too. I’m glad you stopped by!